Above you can see a depiction of who the sky (Plain of the Ecliptic) looked above Tel Aviv on Jan 15, 2017, via Cosmic Watch software. You can think of that as a Natal Chart drawn for that moment and place in time. 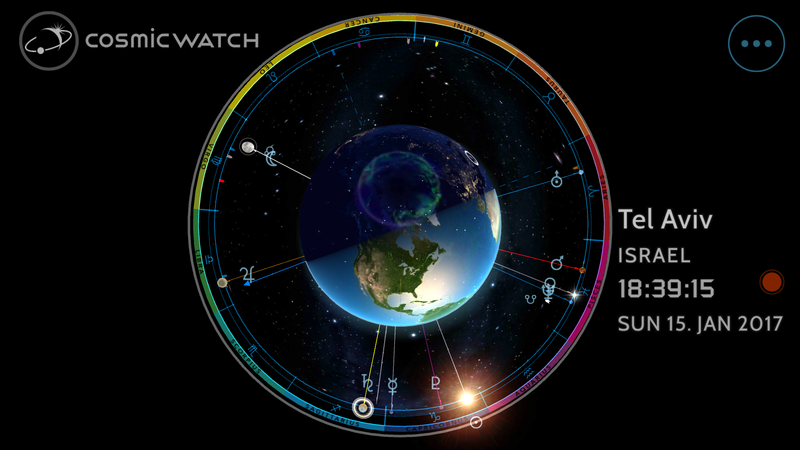 Here is an example of the Natal Chart of Maharaji, better known as Prem Rawat, one of my spiritual teachers. What does a Natal Chart provide? As we look at the different planets, their placements in both house and sign and the complex relationships they form via aspects created between one another, it gives us a deep and comprehensive look at the person, her/his character, strengths weaknesses and how to better utilize our strengths and overcome our weaknesses. In Evolutionary Astrology we focus on the evolution of one’s soul. Where you came from and where you are going? What you came here to learn and complete in this lifetime? When we first meet I draw an exact Astrological Natal chart for your birth. 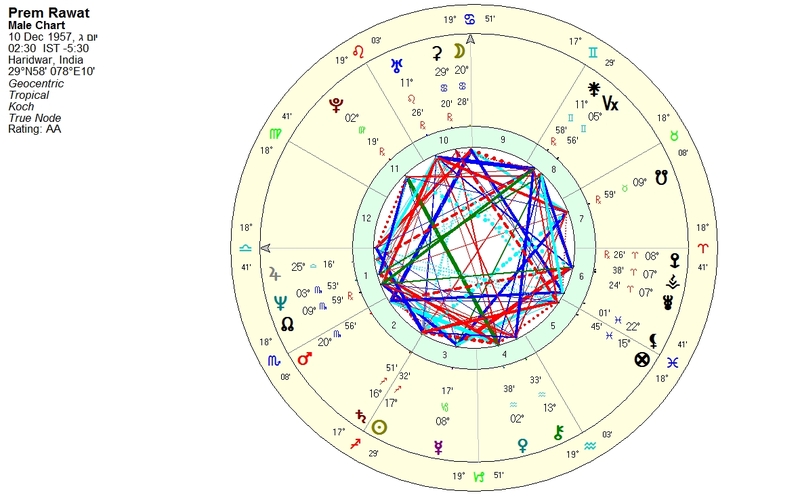 We then talk about your chart and why things are the way they are this time around. Afterward, we dive into the current era. What is the time right for at this moment for you? I usually speak with the client on processes affecting him/her in the next 12 months. A meeting is usually an hour and a half long and a recording is sent to you at the end. Readings can be done face to face, via GoToMeeting, Skype or other video or voice over IP, or on the phone.